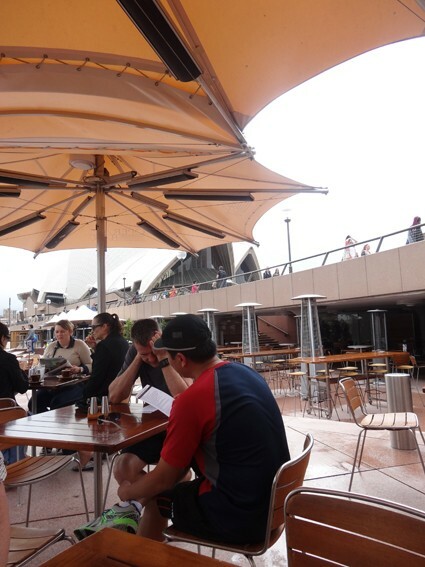 Review - Opera Bar - Does My Bomb Look Big In This? 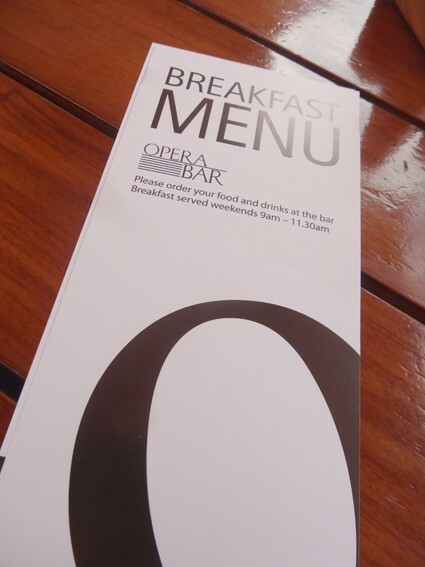 As luck would have it, I chose to try the Opera Bar’s new weekend breakfast menu on one of the only rainy days we’ve had this season. 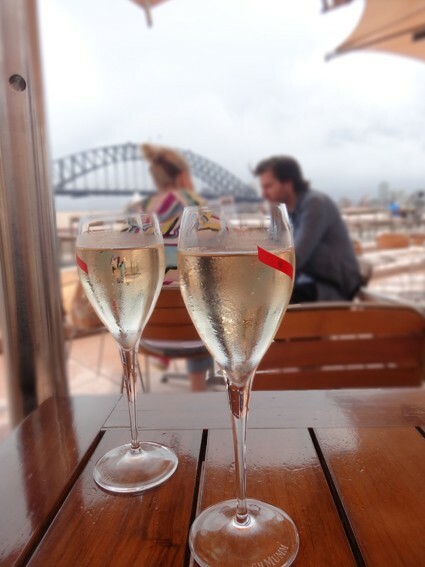 Though even in the rain, the panoramic view stretching from the Sydney Opera House to the Sydney Harbour Bridge is nothing to be shrugged at. And, with NV Laurent-Perrier Brut ($20/glass) in your hand, everything looks better! 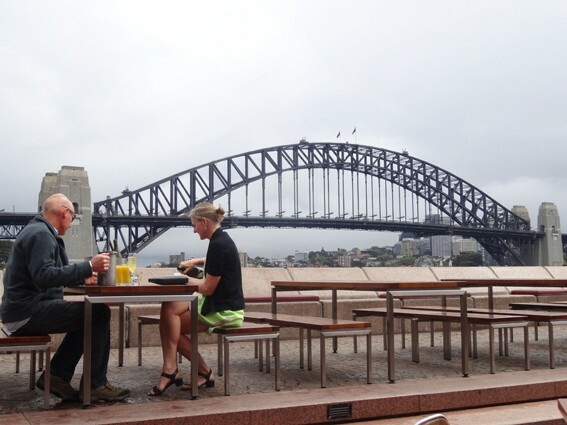 A brave couple even snaffle a table on the top deck; their golden flutes and vividly Orange Juice ($4.50) brighten up the backdrop of steel arches and dark grey skies. 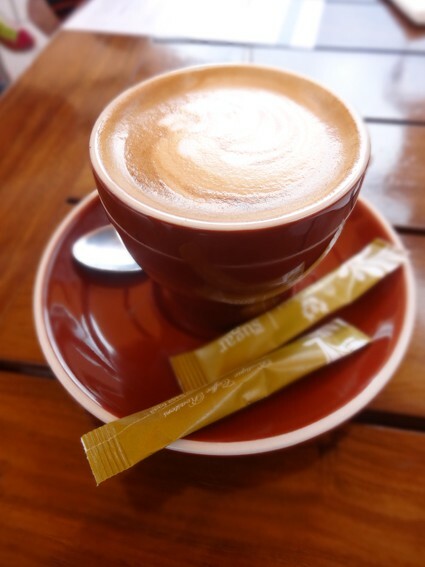 For those who avoid booze until the sun passes the yardarm, Di Gabriel Vivace Coffee scrubs up well in a Latte ($4.50). 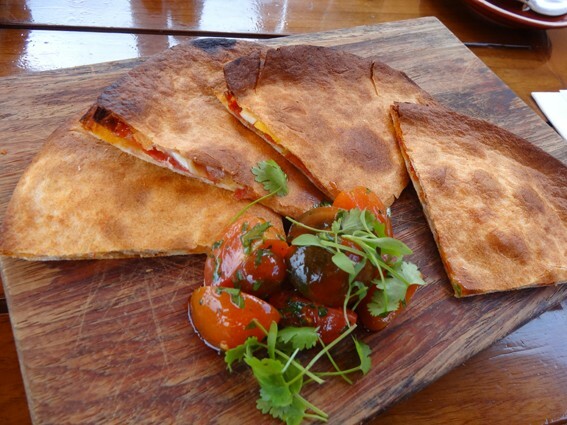 My pick of the compact breakfast menu, Chorizo, Egg and Manchego Quesadilla ($16) are tasty, and saved from being too dry by the accompanying heirloom tomato salad. 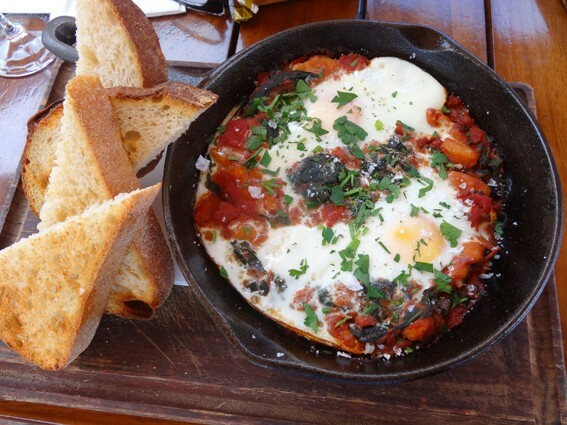 If you’re hungry, an individual skillet of Baked Eggs, Tomato, Spinach and Sourdough ($18) affords plenty of opportunity to dip, scoop and scrape up runny eggs and tomato-based baked beans; however, a little chorizo in this dish wouldn’t go astray. 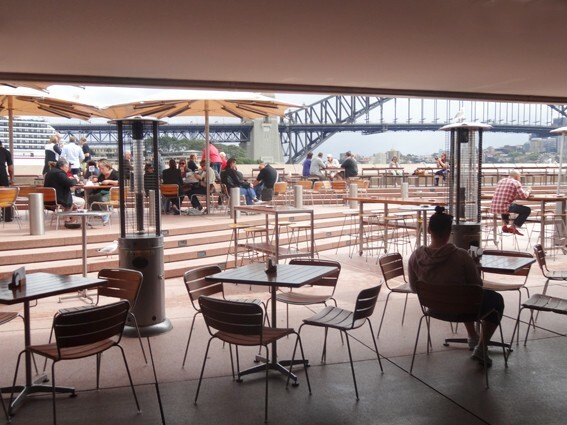 Remember: this ain’t an all-day affair; if you want to eat eggs at the Opera House, you’ll need to order at the bar between 9am and 11.30am.